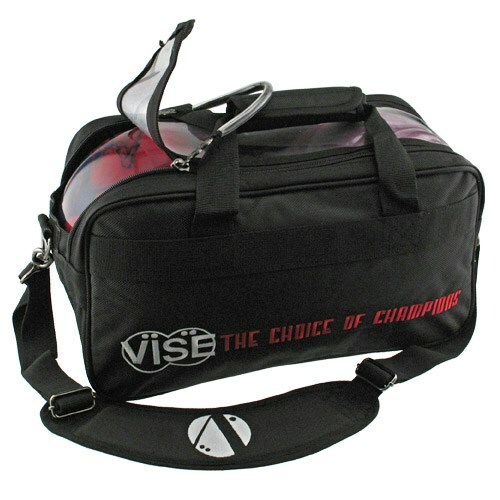 VISE 2 Ball "Clear Top" Tote features the see-thru clear top design. This tote includes a dual adjustable, detachable, padded shoulder strap. With the heavy duty zippers and reinforced stitching, you won't have to worry about this bag breaking, all you have to worry about is your game on the lanes! Due to the time it takes to produce the VISE 2 Ball "Clear Top" Tote Black ball it will ship in immediately. We cannot ship this ball outside the United States.